“They probably won’t charge you for it” | What are we...the Whos? You know the dreaded Monday feeling? The “something awful is going to happen today so I should just stay in bed for the next several hours” feeling? Usually, after several rounds of “just one more snooze” you realize that the only god awful, terrible thing about this Monday is going to be getting out of the bed. That’s so not the case. My work arrival was accompanied by the sound of a drill fit to do some serious dentistry on a t-rex. We’re lucky enough to be in the midst of an office facelift, meaning heavy demolition and lots of office shuffling. At least I’m not one of the three people who are now calling the work-out room home. 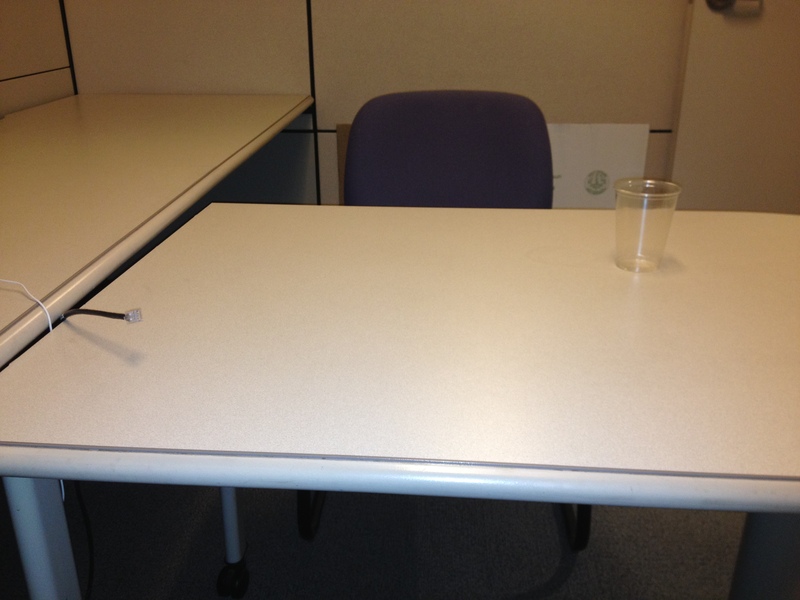 See, there was a pretty conspicuous empty space on my desk. The sad Ethernet cord was poking out from the crack in the desk, desperately searching for the connection it will never find again. My computer was gone. After begging my partner to tell me this was a prank and checking all the drawers in my filing cabinet (cause, you know, someone could have strolled into my office just to stick my computer into my filing cabinet) I gave one more feeble attempt to find it and called IT to see if they picked it up. They did not. He left me at my empty desk and told me to put my feet up, I should have a new computer in a few hours. So here I am, making my first blog post from my iPad while repeatedly kicking myself for not locking my computer down. Hope all of your Monday’s started better than mine! Posted in funny, stories and tagged humor, office, work. Bookmark the permalink.